He fired off an abundance of name-calling and otherwise memorable tweets. He routinely made assertions on cable news shows without evidence. Because of his authority, his words often went unchallenged. 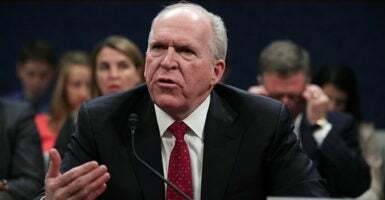 Now John Brennan, the former Central Intelligence Agency director and current commentator for NBC News and MSNBC, has backtracked partially on his self-assured predictions that special counsel Robert Mueller’s report would topple President Donald Trump. On Monday, however, after Attorney General William Barr issued a four-page summary Sunday saying Mueller’s investigation concluded that neither Trump nor anyone in his 2016 campaign team conspired with Russians, Brennan took a more measured tone. “I don’t know if I received bad information, but I think I suspected there was more than there actually was,” Brennan told MSNBC’s “Morning Joe” program. “I am relieved that it’s been determined there was not a criminal conspiracy with the Russian government over our election,” he added. On Tuesday, though, Brennan indicated he was not ready to let things go. “While Trump Campaign engagements with the Russians were highly inappropriate, we need to accept Special Counsel Mueller’s finding that evidence of criminality was not established,” Brennan tweeted. Mueller made no determination of whether Trump tried to obstruct justice by impeding the investigation. However, Barr told Congress in a letter Sunday that he and Deputy Attorney General Rod Rosenstein determined that the evidence Mueller compiled did not support charges. One ABC News journalist, Terry Moran, had harsh words for Brennan. Moran’s tweet showed an MSNBC video clip in which Brennan predicts numerous indictments at the conclusion of the Mueller report, including members of the president’s family. The Trump re-election campaign issued a memo to TV producers Monday naming Brennan among six people, four of them elected Democrats, it considers discredited for making “outlandish, false claims” during the Mueller probe. It suggested they not be booked as guests, or be challenged on specific past comments if they are. The Trump campaign’s memo also named and cited remarks by Sen. Richard Blumenthal of Connecticut, Reps. Adam Schiff and Eric Swalwell of California, Rep. Jerry Nadler of New York, and Tom Perez, chairman of the Democratic National Committee. Using somber tones as an MSNBC and NBC commentator and erudite words on Twitter, Brennan aggressively trolled Trump’s own tweets. One of Brennan’s best-known broadsides against Trump came last April, when he used the term “kakistocracy,” which is defined as government by the worst people. “It was nothing short of treasonous,” he added. Senate Judiciary Chairman Lindsey Graham, R-S.C., announced Monday that his committee would investigate the predicate for beginning the probe of alleged conspiracy between Trump and Moscow—and whether it involved improper conduct by Justice Department and intelligence officials. It would be helpful for the Judiciary Committee to put Brennan, former FBI Director James Comey, and former National Intelligence Director James Clapper under oath, said Charles Stimson, manager of the national security law program at The Heritage Foundation. “This doesn’t discredit the CIA. No. 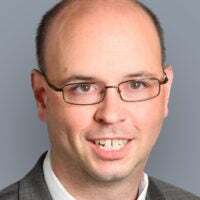 There are many CIA line employees that are very good at their job under difficult circumstances,” Stimson, a former Defense Department official, federal prosecutor, and Navy- Marine Corps trial judge, told The Daily Signal. “This is a problem with a few selected employees in the Department of Justice and intelligence officials,” he said. Brennan’s commentary on MSNBC and NBC is only one example of how the media uncritically promoted an anti-Trump narrative, Stimson said. MSNBC did not respond Tuesday to phone and email inquiries from The Daily Signal about this story. Obama nominated Brennan, now 63, to be his CIA chief in 2013. Before that, Brennan was a senior adviser to Obama’s 2008 campaign and then a deputy national security adviser in the White House. Brennan admitted to voting for the Communist Party USA candidate for president in 1976. He began working for the CIA in 1980. Then-CIA Director George Tenet named Brennan as his chief of staff in 1999. In 2001, during the Bush administration, Brennan became a deputy executive director at the CIA and in 2003 was named director of the Terrorist Threat Integration Center before leaving the agency in 2005. Brennan served in top positions in the CIA during the intelligence failures blamed in part for not thwarting the terror attacks of Sept. 11, 2001, and for the projected assurance that Iraq dictator Saddam Hussein’s regime possessed weapons of mass destruction in the lead-up to the Iraq War. On the upside, as a White House adviser, Brennan was part of Obama’s national security team when U.S. forces killed 9/11 mastermind Osama bin Laden in his Pakistan hideout in 2011. Republicans in 2013 charged that Brennan was involved in crafting false talking points used by the Obama administration to describe the terrorist attacks the previous year on U.S. targets in Benghazi, Libya. In 2014, Brennan denied the CIA was spying on Senate Intelligence Committee computers. But after the release of an inspector general’s report proving otherwise, Brennan apologized for the unauthorized search of committee computers.